“OZOGATION” was introduced by AgriOzein because Ozone has expanded in recent years in response to consumer demands for “GREENER” food additives, regulatory approval and the increasing acceptance that Ozone is an environmentally friendly technology. The multifunctionality of Ozone makes it very useful in the Wine Industry. Excess Ozone auto decomposes rapidly to produce oxygen and thus leaves NO RESIDUE ON GRAPES AND GRAPEVINES FROM ITS DECOMPOSITION. In particular, the FDA granted GRAS Status on Ozone usage in the whole food industry which resulted in increased interest in potential food applications worldwide. Ozone is also listed as a DBPR Compliant (Disinfection By Product Rules) and Ozone is Certified Organic and is approved by the FDA and USDA as a Food Contact Substance. Our Equipment is Manufactured at AgriOzein’s Registered Facility in Wakeeney Kansas and Carries The EPA Establishment – Number 090489-KS-001. Mr. Dennis Edwards, Branch Chief in the Antimicrobial Division of OPP at EPA Headquarters confirmed that Ozogation (spraying ozonated water in the field) does not have to be registered and is NOT in need of a pesticide label. Ozogation is one of the most beneficial and innovative processes of our time. With its very unique nature's way of microbial inactivation through cellular lysing. Maintaining a sterile and clean environment in the wine industry is extremely important. Cross-contamination between batches of wine is a major concern, as is the management of the active yeast. The yeast is a major ingredient in the fermentation process and without it, the fermentation process would not occur. However, Brettanomyces (a non-spore forming genus of yeast in the family Saccharomycetaceae) can contaminate the finished wine product and give it undesired flavors. It is a well-known fact that the best recognized wine brands often obtain their distinctive trademark flavor and smell by being stored in oak barrels as part of the aging process. Cantacuzene et al. 2003 found Ozone to be very effective at removing Brettanomyces from wine barrels. Moreover, due to the ability of Ozone containing water to disinfect oak barrels, thereby removing the threat of Brettanomyces, this technology is now being used on an industrial scale in Australia as an alternative to chlorine. Unlike chlorine, Ozone will not leach into the oak barrels, and it will revert quickly back to its more stable oxygen form shortly after treatment. Another important advantage of using Ozone disinfection is that it prevents the occurrence of substances such as trichloroanisole (TCA) which is responsible for cork taint problems in many wines. 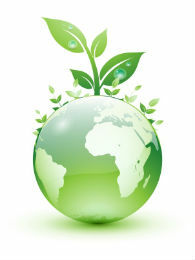 Ozone is also considered to provide cost savings as it reduces the need to buy and store chemicals.